Hair: Fox by Besom for N21. Euralys headband  rare (gacha) by Ariskea for The Epiphany. 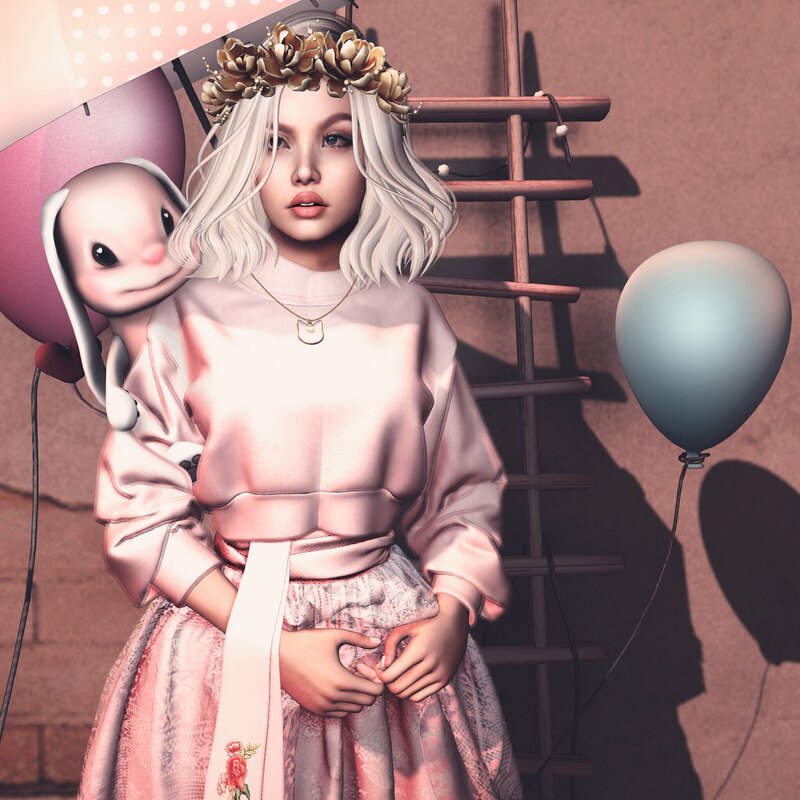 Outfit: Bloom gacha rare maitreya by DAMI for The Epiphany. Necklace: La lune cat necklace (gacha) by Cosmic Dust & Sakura for The Epiphany. On shoulder: Umbrella bunny – Apricot by MotiAme. Lipstick: Halloween vibe lipstick by Revoul & Lueur Beauty for N21.